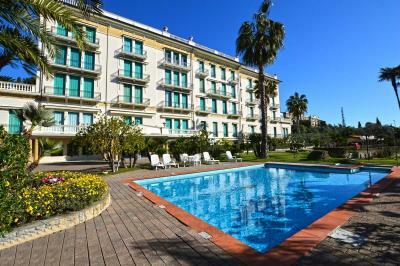 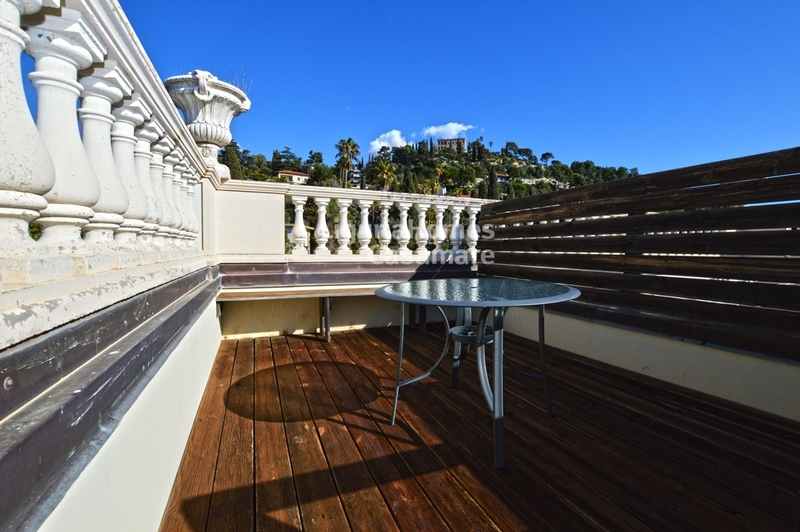 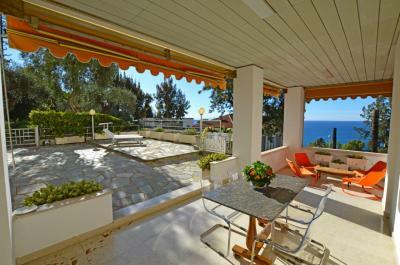 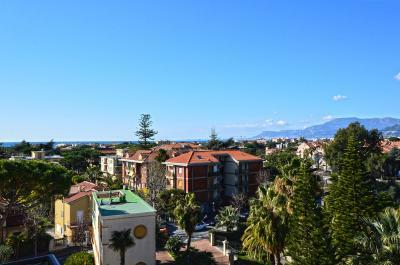 Bordighera duplex Apartment for Sale with sea view terrace and swimming-pool. On the famous Via Romana in Bordighera, duplex Apartment for Sale situated at the last floor of a luxury period building with concierge service, shared swimming-pool and private garage. 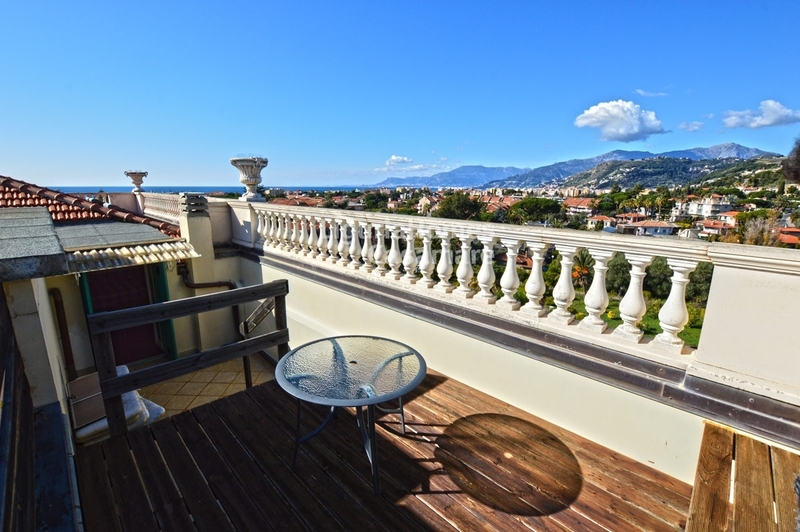 The Apartment for Sale in Bordighera consists of: spacious living room, kitchenette, panoramic balcony overlooking the city, the hills and the blue sea up to the French Coast. Upstairs there is the generours master bedroom with bathroom and a fantastic large terrace with outstanding panoramic view. 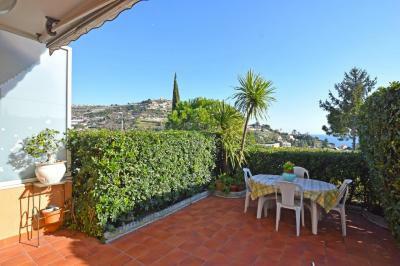 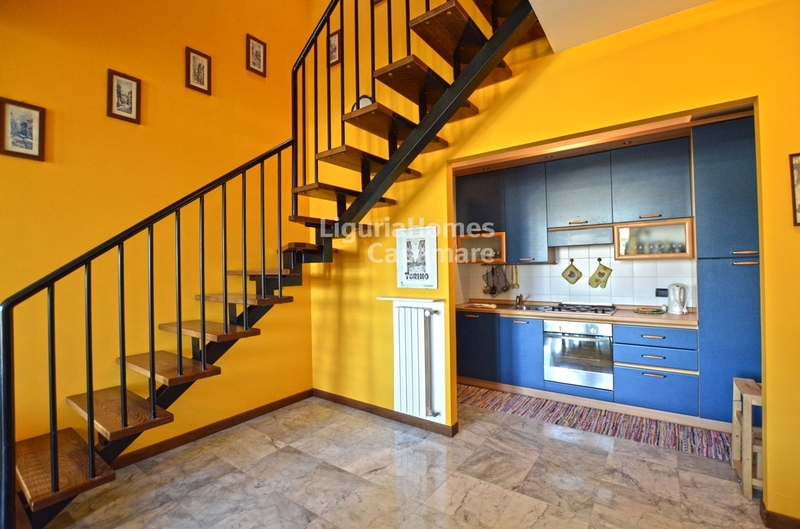 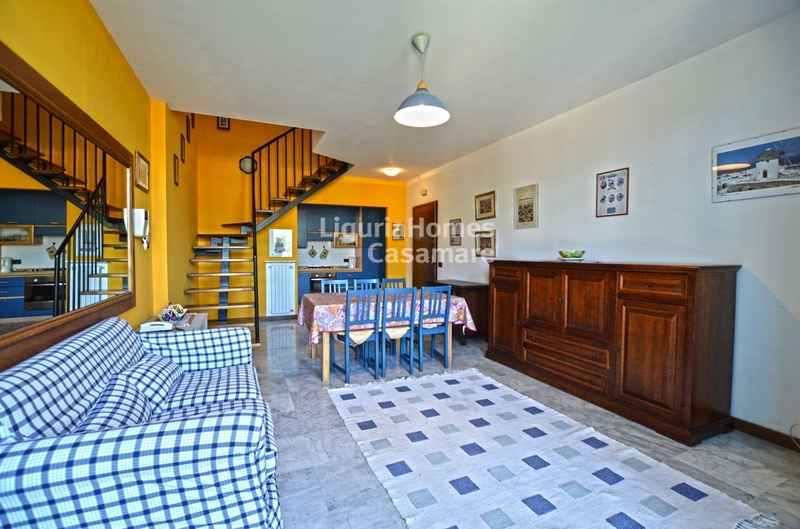 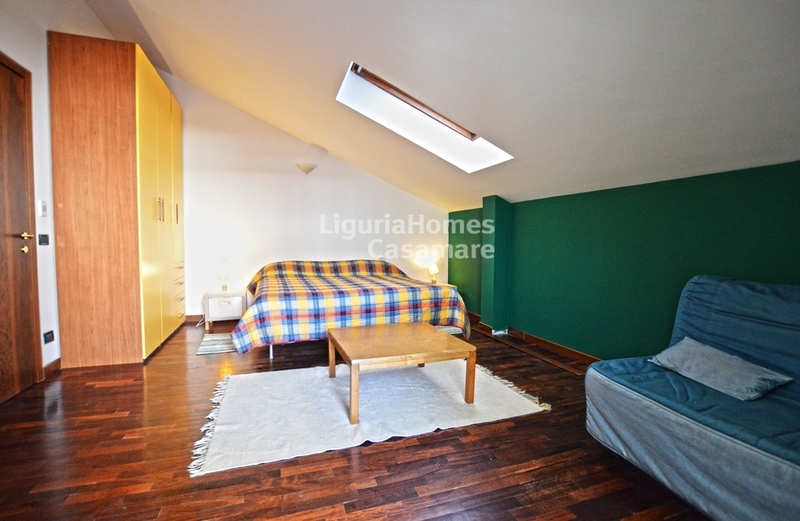 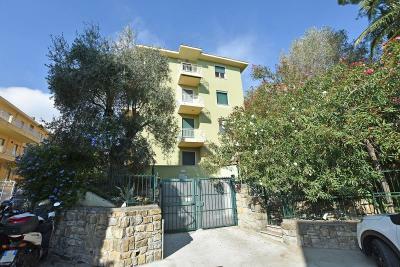 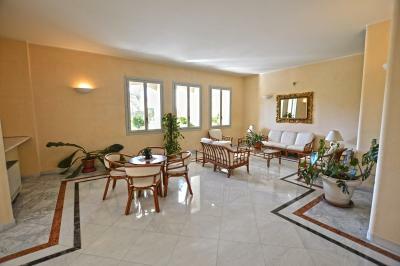 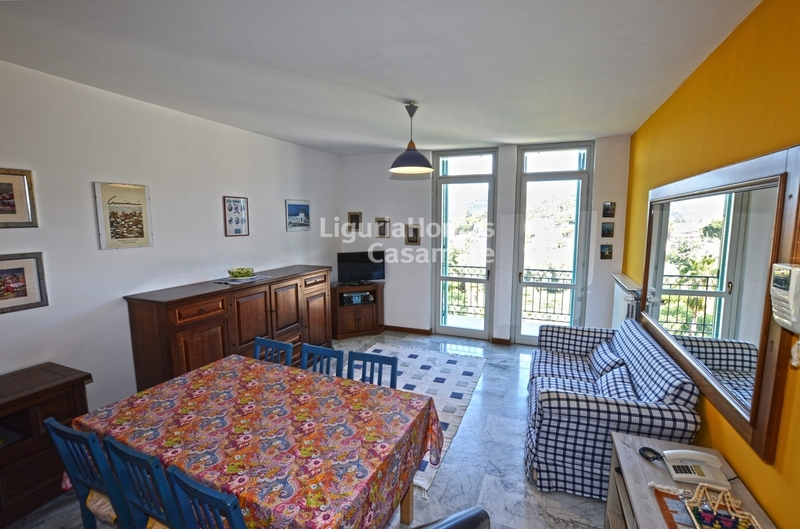 It is also easy to transform this apartament for Sale in Bordighera in a 2 bedroom Apartment. A cellar and a large garage are also included.